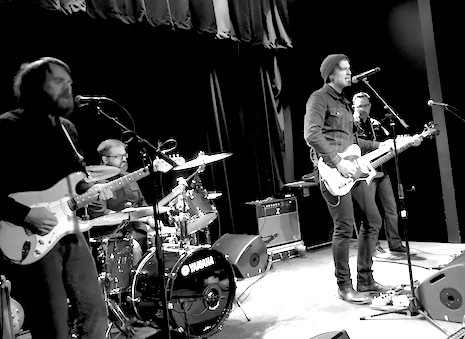 Matt Whipkey and his band at Reverb Lounge Feb. 25, 2018. 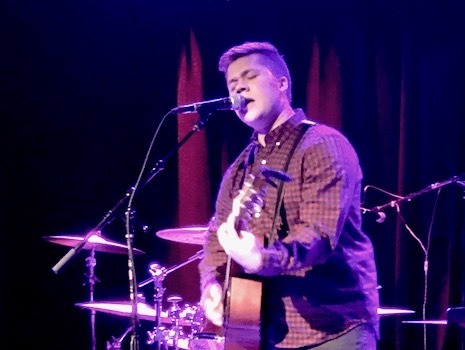 Matt Whipkey helmed two album-release shows this past weekend — one on Friday night and a second in the early evening yesterday for old folks like me, I guess. In fact there were a lot of older people seated at tables in the Reverb’s stage room, making the concert feel more like a matinee performance than a rock show, though Whipkey did all he could to give the room a rock show vibe. Whipkey and his core band of Zimmerman, Sing and Anderson (a perfect name for a law firm) ripped through a set of songs off his new double-LP Driver, which currently stands as my favorite Whipkey release. Like an episode of Storytellers Matt gave background between every song while he feverishly re-tuned his guitar (We were told that the songs off Driver have a variety of “tonal colors” that required alternate tuning). Unlike on the recording, there were no keyboards at these weekend performances, which (to me) gave the set a more rocking feel. One of those between-song stories was Matt telling the crowd about a convo he and I had during our interview. I had told Matt that, while I like the song “Fred, You’re Dead,” that it would be perfect candidate to be revamped into a punk song, especially considering the political nature of the lyrics. Lo and behold, Matt pulled out a punk verson of the usually slow, dour song, and it, indeed, ripped. The punk “Fred…” would make a perfect 7-inch single just in time for Record Store Day. Come on, Matt! Charlie Ames at Reverb Lounge, Feb. 25, 2018. Opening Sunday evening was singer/songwriter Charlie Ames, who performed an acoustic set of originals. Ames had a striking voice and a nice guitar style on a set of broken-hearted pop songs of the woe-is-me variety. A very talened dude, I’d love to see him write a set of songs that stretched him more creatively. Palehound plays at Slowdown Jr. Feb. 27, 2018. 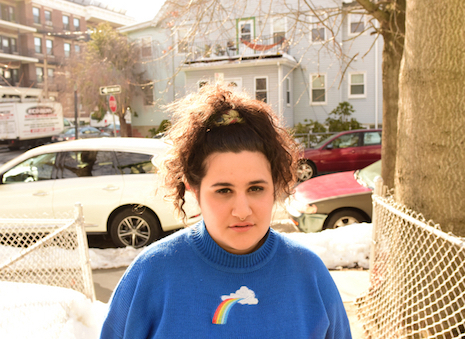 Led by singer/songwriter Ellen Kempner, Boston’s Palehound released their sophomore album, A Place I’ll Always Go, on Polyvinyl Records last summer (which received a 7.3 rating from Pitchfork, for those who care about such things). Since then, the indie combo also dropped a new 7-inch release — “YMCA Pool” b/w “Sea of Blood” — as part of Saddle Creek Records’ Document Series singles program. Ellen Kempner: I definitely don’t have one! My favorite album of this week has been Jolene by Dolly Parton. Getting to travel and see the country in a way I never would be able to without music. Being anxious about shows/people liking our music. Hometown Boston shows are great because our friends are there. Fort Worth, Texas, the only people we played for were the two teenagers who were in the other band that played. Cooking!! I love cooking and used to work as a cook in a restaurant and loved it. I wouldn’t wanna be a professional runner. Honestly my answer will be really bad cuz all of them just have to do with Conor Oberst.